When you choose a title for your novel, you’ll do more to increase (or decrease) its sales than any other decision, except perhaps choosing the cover. Why do I say unfortunately? Because, one of the hardest things about writing a novel is finding a great title, one that makes people pick your book up, one that really sells it. Some people think the only way to find a great novel title is just to pray for a miracle. Luckily though, I’ve worked out a title generation process that, while it won’t guarantee you a great title, will at last give you a good chance of finding one… without divine intervention! Why is a Great Novel Title so Important? Someone recommends it to them. It’s by an author they already like. It’s in a genre they like, and they like the title, the book cover design and the first page. The first two possibilities are largely out of your hands, which leaves the title, cover and first page as the only things you have any control over. So, how do you find a title that will make your novel sell by the thousand? Is it really all down to luck? What about Novel Title Generators? These so-called titles don’t even make any sense, let alone them being titles that will sell your novel. Instead of a ‘magical novel title generator’, what we really need is a ‘book title generation process’. My book title generation process can help you take some of the guesswork and reliance on luck out of choosing a title. The key word though is ‘help’. Nothing, not even those novel title generators, can automatically generate you a great title. This process will though help you structure your thinking about the problem and give you ideas to work with. I think that’s as good a basis for you to choose a title for your novel as you can get. Step One of the title generation process is to identify the archetypes, the WHO, WHAT, WHEN, WHERE, HOW and WHY, of your story. For more detail about archetypes you can read how to use archetypes, but for now let’s look at how some existing novels use archetypes as the basis of their title. Often the actual name of the protagonist is part of the novel title, sometimes it’s their role in the story. Smiley’s People – Smiley is the spymaster protagonist. Ashenden – the name of the protagonist. The Kill Artist – the protagonist is an assassin. Similarly, the novel title may use the literal name of the antagonist or their role. The Mask of Dimitrios – Dimitrios is the notorious spymaster the protagonist searches for. The Gun Seller – a ruthless and amoral arms dealer is the antagonist. She – ‘She-who-must-be-obeyed’ is the name of the mystical antagonist who dominates the story. A description of the inciting incident of the novel, or the conflict that forms the core of the story, can make a good basis for a title. SS-GB – a story about Britain under Nazi occupation. The Hunt for Red October – ‘Red October’ is a Soviet submarine attempting to defect to the USA. The Guns of the South – time-travellers give modern weapons to the Confederacy. A lot of novels use a reference to their setting as a basis for their title. The Afrika Reich – the story takes place in Nazi-dominated Africa. Ice Station Zebra – the story takes place going to, at, and returning from, an Arctic research station. Fatherland – a reference to Germany, where the novel takes place. If the goal or prize that the characters are seeking is something unusual or takes a prominent place in the story then its name might make a good title. The IPCRESS File – IPCRESS is the conspiracy the protagonist investigates. Firefox – The Firefox is a highly advanced Soviet fighter plane that the protagonist tries to steal. The Thirty Nine Steps – the protagonist’s goal is to discover what ‘the thirty-nine steps’ are. So, the first thing to do is identify the Protagonist, Antagonist, Problem, Conflict, Setting and Goal in your book. It will help you clarify the archetypes in your book if you write a logline using them. Step two of the title generation process is to note down the premise of your novel. All novels have a premise that they explore. Some people call this the theme, others the thesis or controlling idea (for more details about this see How to start a story). A reference to the premise can make a good title. The Human Factor – human nature is hard to factor in to bureaucratic plans. Moscow Rules – the ‘Moscow rules’ are a set of cautious rules that spies live by. The Looking Glass War – morality is back to front in the world of espionage. Step three of the title generation process is to consider if there is a defining moment, motif, scene or image in your novel that encapsulates the story. If there is, it might be basis for a good title too. Never Let Me Go – a music album the novel’s protagonist loves and which forms a motif that recurs throughout the novel. Step four of the title generation process is where things get more challenging. Apart from direct reference to he archetypes of the novel, the other main type of title is the figurative title. Here the author refers to a phrase from another artistic work (story, song, play, movie, etc.). The Usual Suspects – a reference to the movie, Casablanca. Something Wicked This Way Comes – a reference to Shakespeare’s Macbeth. In a figurative title, the reference is not literal, but hints at the story. For example Bring the Jubilee is not about people celebrating an anniversary. it’s a line from an American Civil War marching song, Marching through Georgia, and so hints at the setting and theme of the novel. Another example is the title of my novel A Kill in the Morning which is an allusion to Ian Fleming’s A View to a Kill. Fleming himself was referring to the traditional song, D’ye ken John Peel? – the full line being ‘From a view to a kill in the morning’. This type of title is harder to come up with but, after the previous steps of our process, we should have a list of all the archetypes, themes, moments and motifs of our story. Now we brainstorm all the references we can think of to do with them. The way to do this is using a spider diagram. Start with your archetypes etc. and write down as many related things as you can think of – anything at all related, however vaguely and without critiquing your choices – at this point just get things down. Search the internet for quotes and lyrics related to the concepts you’ve written, and add those too. For example, here’s a spider diagram I did when I was thinking of a title for my new novel. 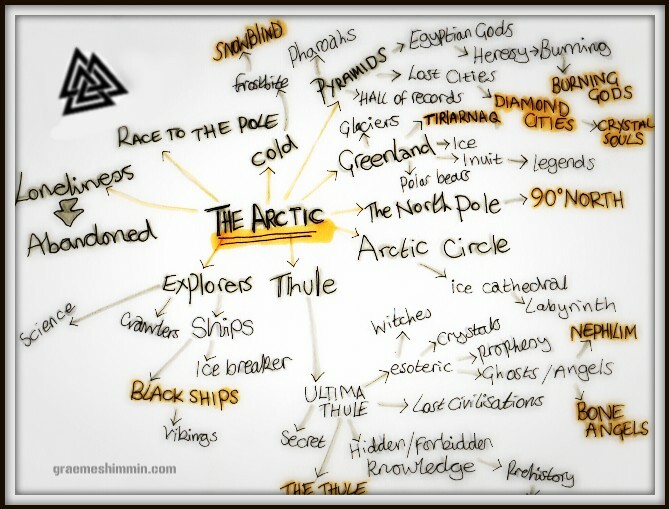 It’s based on the Setting archetype, which in this case is the Arctic. The possible titles are the items highlighted in orange. You can see brainstorming around the setting archetype provoked a bunch of title ideas. Some of the possible titles are better than others, but that’s fine at this point – the more ideas the better. You can also try producing a word cloud for your novel using the word cloud generator here. That will throw up the main words used in your novel and might provoke a title idea. Step Five of the title generation process builds on the previous steps to create a title that really belongs to you. One way of coming up with a unique twist is taking a well-known concept, aphorism or phrase and altering it slightly. It has the familiarity of the original phrase and the surprise factor of the twist. The Ministry of Fear – a twist on the way governments name their departments. You Only Live Twice – ‘You only live once’ is a common phrase. The Little Drummer Girl – The Little Drummer Boy is a song. The Spy Who Came in from the Cold – obviously it’s about spies, but how and why do they ‘come in from the cold’? So, take the spider diagrams you’ve already drawn and see if you can twist any of the items into something more original or mysterious. Step Six of the title generation process is simply to look through the spider diagrams and pick out your favourite title ideas. Aim to have at least twelve candidate titles. It doesn’t matter if you aren’t that happy with all of them – there’s more work to do yet. In this step we’ll cut some of the weaker title ideas. It’s tempting to choose a title that’s clever, with double meanings and allusions that only someone who’s read the novel carefully will understand. That’s great in a way, but it won’t necessarily sell your novel. A simple, punchy title that tells the reader what they can expect might work better. My favourite example is the movie Cowboys & Aliens. It’s not a sophisticated title, but it’s crystal clear. Most people will say ‘Ridiculous!’, but on the other hand the target audience will say ‘Wow!’. If Cowboys & Aliens had been called Absolution (the town where it’s set) or Lonergan’s Redemption (the name of the protagonist plus the theme) it would have been less successful because people would have gone expecting something they weren’t going to get. So, if you’re writing a literary novel then a very obscure title might be appropriate, but otherwise consider the power of clarity. Rate your candidate titles in order of how sophisticated they are and then decide if the most obscure ones are too obscure. You need to check that your title is not too similar to other books or, even worse, a duplicate of another book. You can have the same title as another book, but it’s going to lead to confusion in your potential readers’ minds. The best way to check is just to type your potential titles into Amazon and see what comes up. You should seriously consider dropping any titles that are already used, especially if the existing novel looks like it’s popular. Does Your Title Suggest the Genre? Calling your technothriller Happy People Go On a Picnic won’t attract the right audience. That’s because there are words that are typically used in different genre titles. 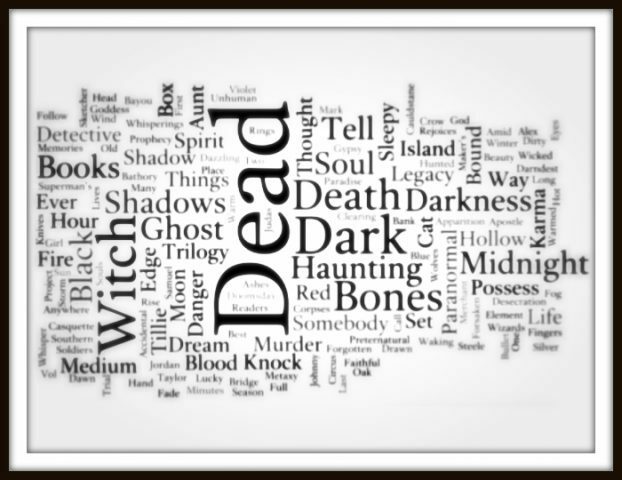 And here’s a similar word cloud, but for Horror. Another thing to consider is the popular Amazon keywords for your genre. How many spy thrillers use the word ‘spy’ in their title, for example? A lot, I’d say. So, look at your shortlist and remove any titles that don’t suggest the genre. Like everything to do with your novel, you should test your title before committing to it. You can mock-up some book covers featuring your shortlisted titles and see which you think looks best. Show the covers to people and note their reaction. Ask people to rate them in order. Make sure you ask enough people, and people in your target market, not just your mum and dad. In 2005, the publishing company Lulu asked a British statistician, Dr Atai Winkler, to analyse which factors make a successful title. Winkler gathered the titles of seven hundred novels from a fifty year period and compared them on eleven different attributes, ranging from the number of words in the title to whether the title contained the name of a person or place. Figurative titles are better than literal ones. The word type of the first word matters. Shorter titles that include a verb are better. Lulu made a Title Analyser based on this research which assigns your title a ‘probability of being a bestseller’. It’s far from a certainty though: The Da Vinci Code, which was a massive bestseller, scored just 10.2%. Lulu TitleScorer is available here. It’s worth running your candidate titles though it. The last step in the title generation process is to choose a title from the remaining titles on the shortlist. Admittedly, this will involve your own subjective feelings, but in the end it’s your work and you’ve got to be happy with the title. Hopefully, the process has helped you consider all the options and given you a shortlist of good titles to choose from. Good luck with finding a great title! 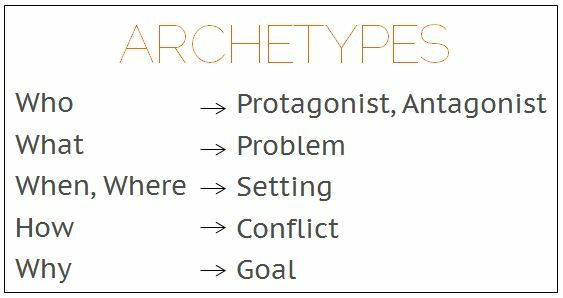 Write a list of the archetypes of your novel. Write down the theme of the novel. Note any defining moments, motifs, scenes and images in your novel. 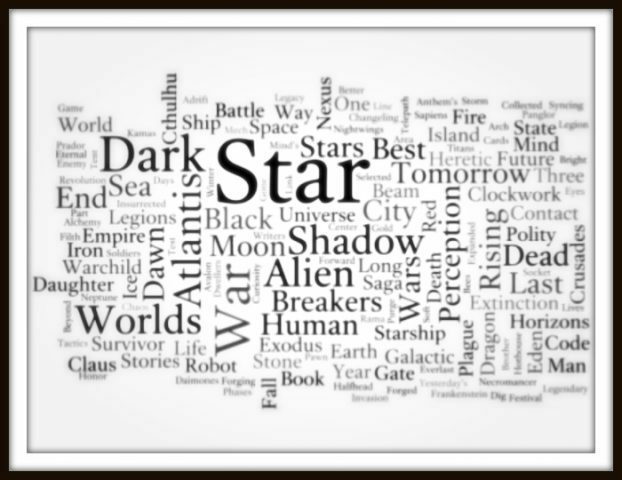 Create a word cloud for your novel. Draw a spider diagram of concepts related to each item. Search for related quotes, aphorisms and song lyrics. See if you can twist any of the title ideas to be more original. Produce a shortlist of a dozen titles. Think about whether any of the titles are too obscure. Use Amazon to check if the title is already used. Consider whether the title makes the novel’s genre clear. Mock-up book covers with the different titles. See how people react when you mention your shortlisted titles to them. Try the titles on Lulu TitleScorer. Choose a title for your novel from the shortlist. If you have any thoughts on how to choose a title for your novel, please email me. Otherwise please feel free to share the article using the buttons below.